The Inn’s Dining Room serves a full breakfast daily, including our guest favorite Oatmeal Pancakes. For dinner savor a four-course, traditional heritage experience in an atmosphere of intimacy and grace. The Inn’s Dining Room is open to the public and Inn guests for breakfast and dinner. Please click here to review our dress requirements. Please note that in order to maintain our standard of service, guests on the Modified American Plan and the Full American Plan are also required to make a reservation for their preferred dining time. Without a reservation there is no guarantee that your party will be seated together. 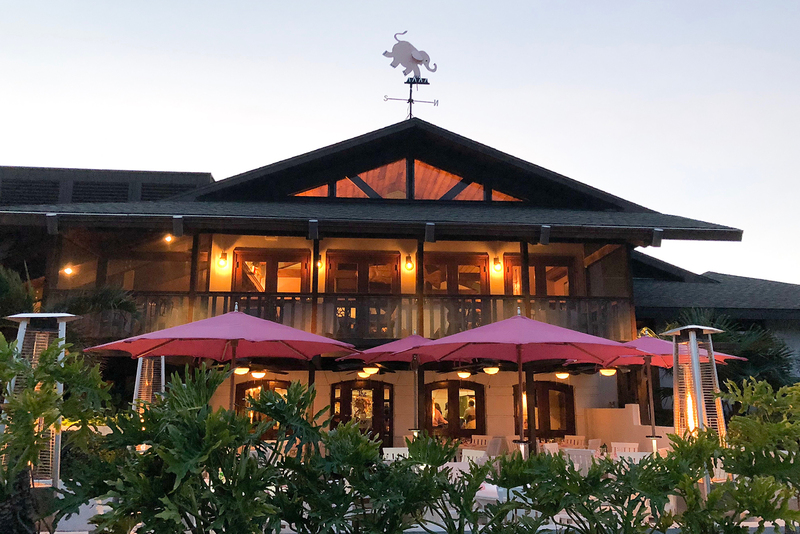 Take a short stroll to the Boca Grande Bayou for a casual lunch or dinner at The Pink Elephant, affectionately known as ‘The Pink’ Inn guests and island residents alike have gathered at this charming restaurant for great food, signature drinks and refined service for over 60 years. Executive Chef & Manager Rob Plesh’s creative interpretations of fresh local seafood and regional comfort food are served in the downstairs pub, upstairs dining room and on the outdoor patio. The Pink Elephant is open year round and serves lunch and dinner daily during social season. Located directly on the Gulf of Mexico, The Gasparilla Inn’s private Beach Club serves beverages poolside, on our own beach, as well as fresh and delightful daily luncheons. The Beach Club is open daily, in season, 8:00 a.m. to 6:00 p.m. and is also available after normal operational hours for weddings, special parties and private events. 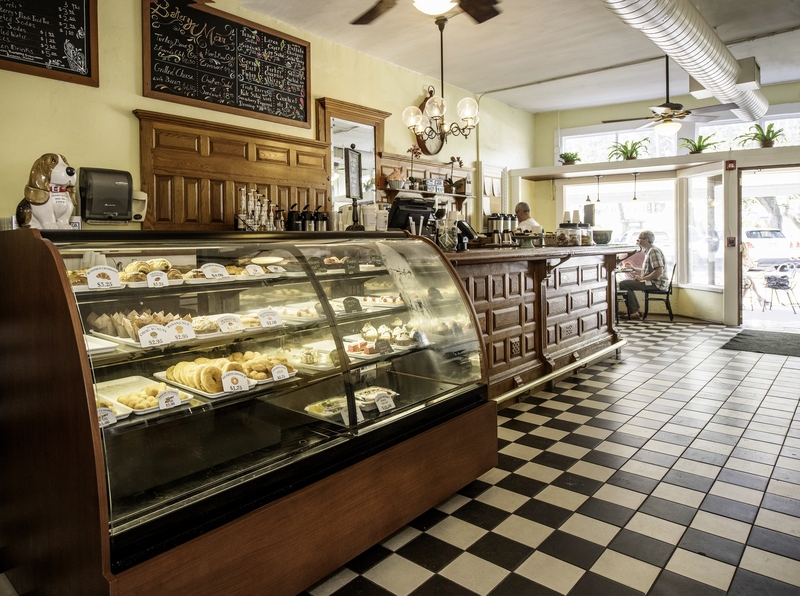 This casual café located in the village of Boca Grande offers a wide variety of signature coffees, morning pastries, desserts, inventive lunch fare and afternoon snacks, all under the direction of The Inn’s culinary team. 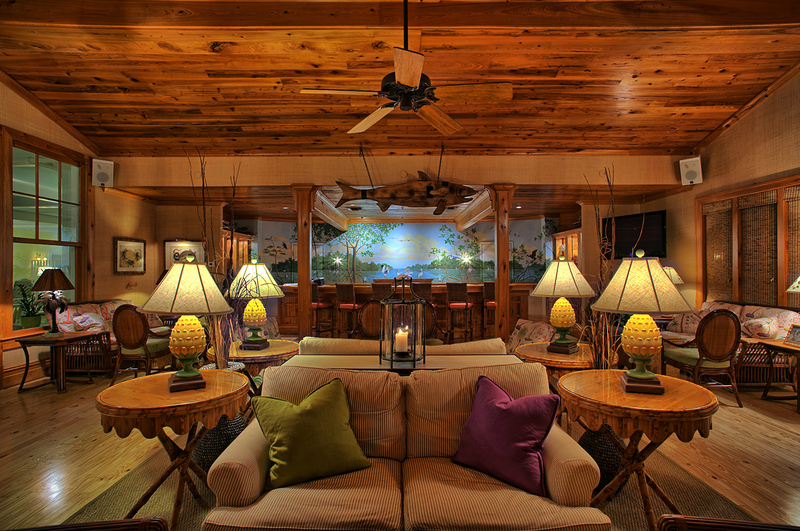 Favorite Inn beverages offered include cappuccino, macchiato, chai tea, cold brew coffee and smoothies. For the lunch crowd, the bakery offers a variety of sandwiches, wraps, and sides. The Inn Bakery is located at short distance from The Gasparilla Inn & Club at 384 E. Railroad Avenue in Boca Grande. BZ’s is located on the main floor of The Inn, and is a popular gathering place to enjoy signature beverages and snacks from mid-day to late night daily. The stylish service and Old Florida charm of BZ’s will remind you of a bigone era, featuring a pecky cypress bar front and ceiling, and comfortably appointed with upholstered sofas and chairs. 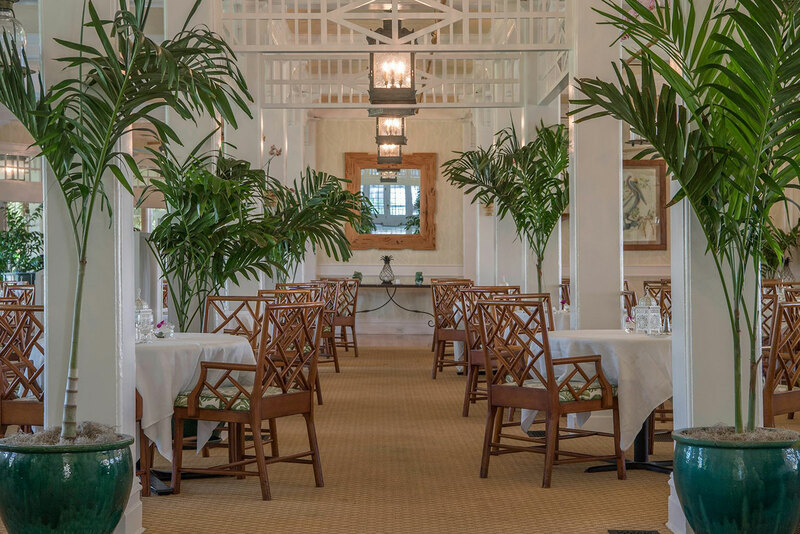 The adjoining outdoor terrace is the perfect place to relax and enjoy the beautiful views of the fifth green of The Gasparilla Golf Club, as well as Charlotte Harbor in the distance.Hours of operation are from 2:00 p.m. to closing on weekdays and from noon to closing on weekends. BZ’s is open to Inn guests and to the public.